Peter Biaksangzuala died in hospital on Sunday, after landing awkwardly during his goal celebration. 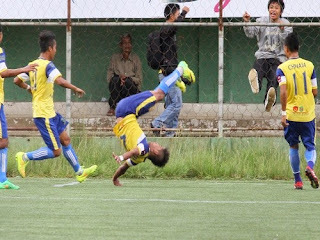 Peter took the back flip celebration after scoring a goal for Bethlehem Vengthlang FC during match against Chanmari Vengthlang FC in Indian Mizoram Premier League. At the third flip, he unfortunately slipped and landed with the back of his head first hitting the ground, causing spinal cord damage. The accident occurred after he scored an equaliser goal for his team in 62nd minute. He later pronounced dead in the hospital and the club told that they retire the jersey number 21, the number Peter wore. Peter spent 5 days in Aizawl Civil Hospital before he passed away. Click here to watch the video. 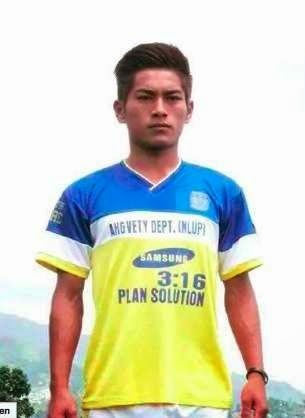 No response yet to "FACT: Indian football player, Peter Biaksangzuala died from injuries after landing awkwardly during a goal celebration"